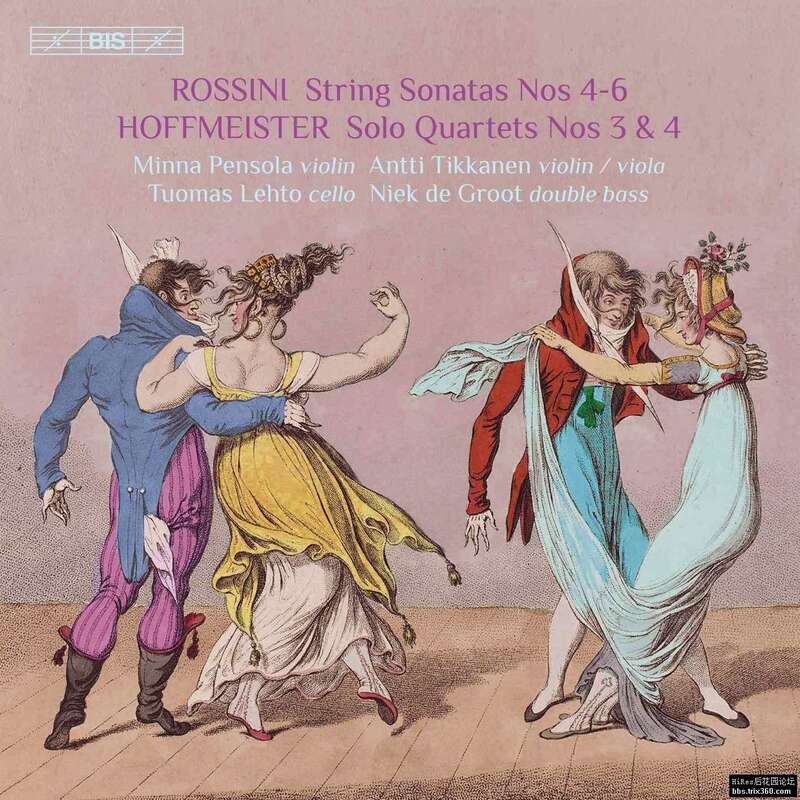 second and last volume completes two different sets of string quartets: the four so-called Solo Quartets by Franz Anton Hoffmeister and Gioachino Rossini’s six String Sonatas (or Sonate a quattro). Both sets differ from the ‘normal’ configuration in that they allow a double bass to take part, albeit in different roles. Rossini, who composed his sonatas at the age of 12 (! ), left out the viola and gave the double bass a more or less conventional bass role – apart from the occasional virtuosic outburst. 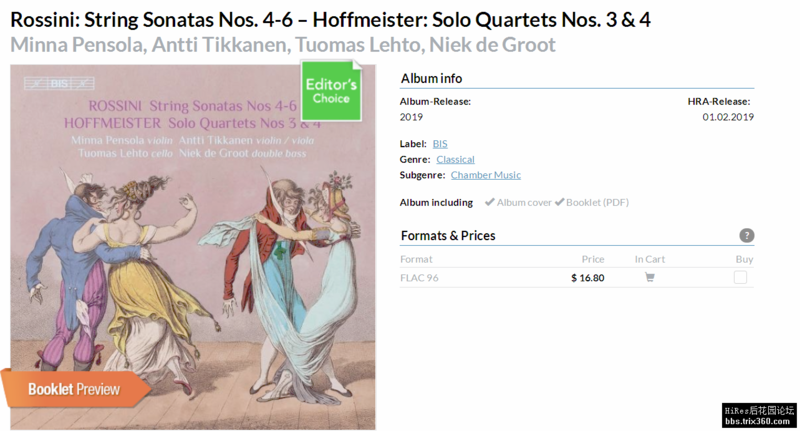 The sonatas were first published in an arrangement for traditional string quartet and are often heard performed by string orchestras.